subscribed..p.s...wasn't there a honda 4 pot about the same capacity..one of the reasons why i had to have a peak here. knowing you,it will be a great finnish once all is done. i like your style man..
" She’s the ducks guts Max – you can shut the gate on this one." XSERIES Kings of the streets! Thanks bud,You should see me r**t...I make the girls go off..! Just spent the weekend down at Bright for the Rod Run and got the owner real enthused again.We will be back onto it by chrissy I hope. 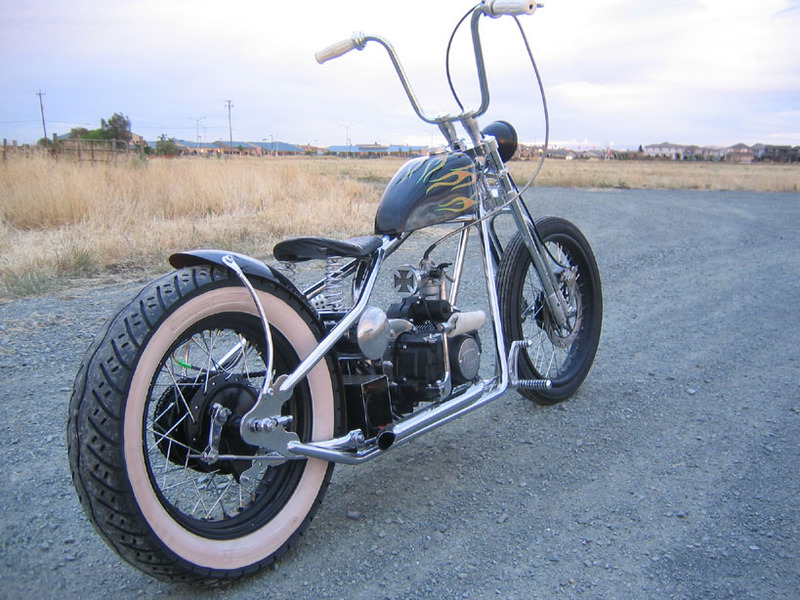 Thanks for the pics bloke..,the seat Idea I have in mind is going to be sprung under the seat and under the frame line to keep the smooth lines.I may use a air spring set-up yet that is totally concealed...but a tad exxy. 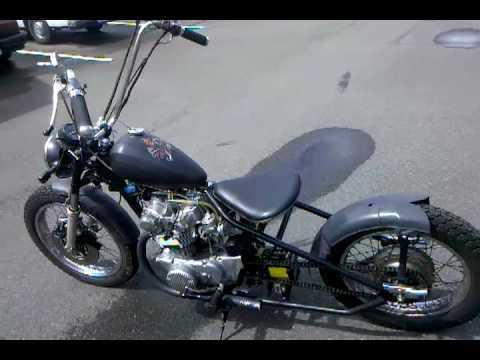 This one is able to be regoed,he wants to ride this one to work and stuff. 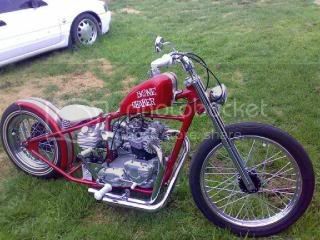 Where some of the inspiration for a Bobber came from,Our boy Hammo's Triumph...Sweet as they come. Edited by slydog, 01 January 2011 - 06:45 PM. it's been a bit quiet here..any new progress pics. The bloke who owns the bike has pulled up for a while till he gets some spare coin to continue on it. Yeah I rolled around in it at Narranderra when I first met the big fella.The new one looks the biz though,hopefully we will be cruising in it at Bright if it makes it in time...Had a beer with Trav two weeks ago at BG's fair well in Wagga.